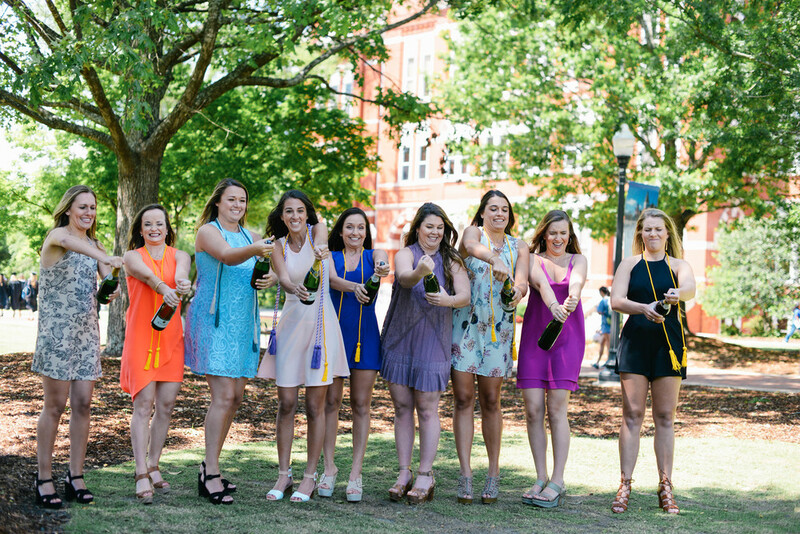 I was so glad when Hayley asked me about taking some graduation group pictures of her and her friends in their cap and gowns. I had never really done group pictures, so I was excited to get some more experience in that area! 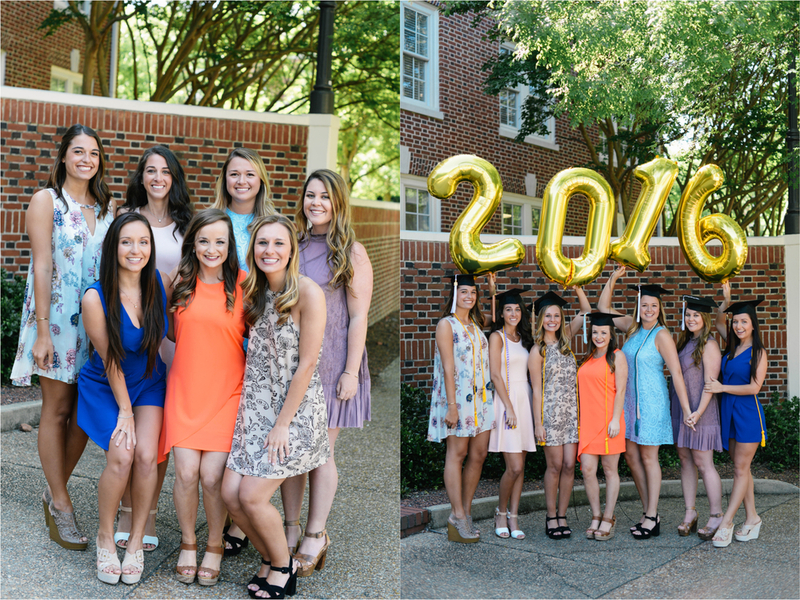 I drove up to Auburn to take these girls pictures the Friday morning before graduation. We tried to start early to avoid all of the other people going to take pictures, but even at 8:30 in the morning, a ton of people were already out in front of Samford...the line in front of the Auburn University sign was longer than character lines at Disney! But we managed to get some super cute pictures and somehow avoid all of the other people out there from getting in the background! What a fun shoot to end my all of my 2016 college senior shoots on!